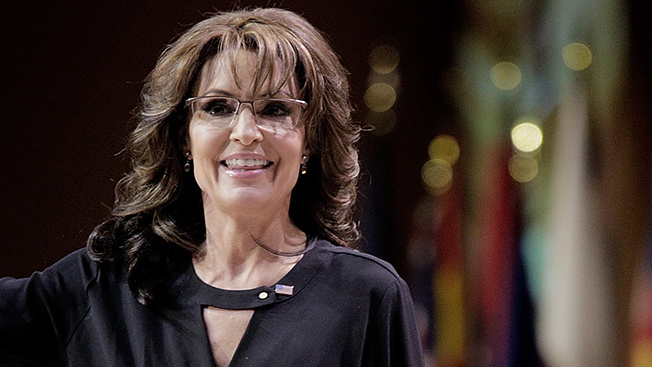 If the WWE can do it, why can't Sarah Palin? The Fox News contributor and not-quite-one-term former governor of Alaska has been tapped for a channel called Rogue TV on Jeff Gaspin and Jonathan Klein's new digital video venture, Tapp. Alex Weprin at Capital New York broke the news. Subscriptions will cost $10 per month. The venture is an interesting one—Gaspin, former chairman of NBCUniversal and Klein, former president of CNN U.S., have both been out of the public eye for a few years, but the pair are teaming up on a streaming service not dissimilar to Netflix or Hulu and backed by "strong personalities." Channels on the service are expected to go live in the next few weeks. According to preliminary pages on Tapp's website, Palin's new channel may feature "weekly video chats" with Palin and promises "an end to those lame stream media filters," among other benisons. "Here on Rogue, I'll answer your questions, take you behind the scenes of my life, offer tips on everything from parenting to cooking, and, of course, call out the nonsense that's taking place all across America," Palin promises in the early draft. There's plenty of precedent for this—Glenn Beck's TheBlaze does very well for the former Fox News 5 p.m. host, and the WWE has high hopes for its new network, as well. Clearly, entertainers with large fan followings are seeing a potential cash cow in taking their offerings straight to their supporters.